Over 1,200 different species of bats have been identified. This is approximately 20% of all of the mammals in the world. Habitat, Anatomy, Feeding, Predators, Reproduction, Evolution, Echolocation and bat role in pollination and key bat information. It seems that bats are also victims of bad publicity. Many people are afraid of them due to what they have heard about while others truly understand their importance. 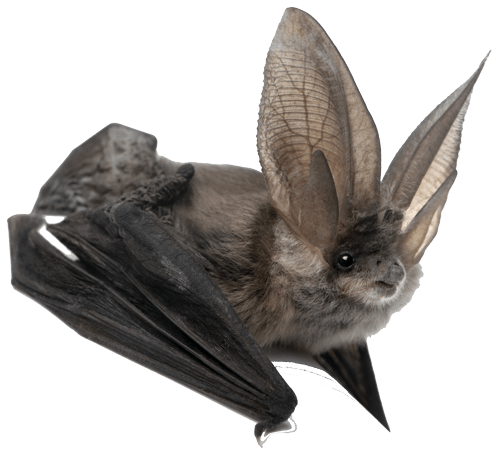 Bat Anatomy, Feeding, Communication, Reproduction, Predators, Echolocation, Conservation and more information. Bats aren’t seen as one of the most exciting or loveable animals in the world. In fact, many people are fearful of them. They get a bad reputation for being creatures that lurk at night. The reference that they are vampires has been deeply seeded into various cultures and that further instills fear. We don’t have too much information about the evolution process of the bat. Some fossilized remains of them have been found though that date approximately 52 million years ago. The remains indicate that they could fly very early on so that isn’t something that is part of the evolution process. However, the echolocation abilities that bats are well known for today weren’t present. What many people don’t realize though is that the bat plays an important role in many ecosystems. They help to keep the populations of insects and bugs from getting too high. They also help with pollination, something that the bees and birds are usually given all of the credit for! 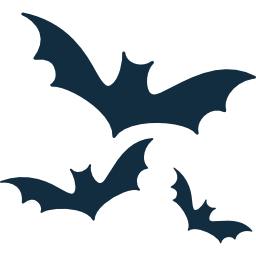 There is no mistaking that you are seeing a bat when one surfaces out there. They have a small face and ears. They have long wings that wave outward. They are nocturnal which means that they will be out at night. They are also famous for hanging upside down when they are resting. There are more than 1,100 species of bats in the world. 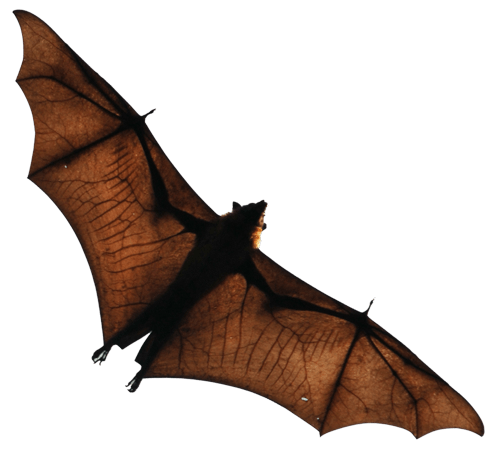 70% of bats consume insects and small bugs for food. The other 30% consume various types of fruit. Bats seem to do very well living in various environments. Bats are found in almost every location in the world. The smallest bats are the Kitti’s Hog-Nosed Bat. The largest bats in the world are the Giant Golden Crowned Flying Fox. While the basic format of the bat is similar, it may surprise you to discover that there are over 1,200 species out there that have been identified. Approximately 70% of them eat insects and the rest of them consume fruit. 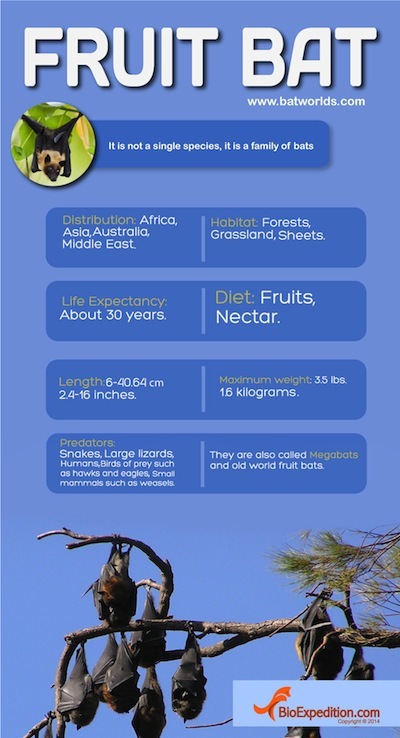 The size of the bat can also be significantly different based on location and species. Some of them aren’t even an ounce and just a few inches long. Others are considerably larger with a length of closer to five feet. Yet they only weigh about three pounds. The physical appearance of the bat often get it mistaken for a member of the rodent family. However, it doesn’t belong there and DNA has confirmed that. 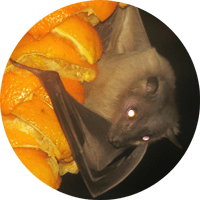 Bats are versatile and so they can be found in environments just about anywhere. They are opportunistic when it comes to living areas. Bats can mate during any time of the year but generally it takes place in the spring. This is when they have the best overall possibility of finding food and having other environmental conditions in their favor. The females can mate in the fall but prevent the sperm of the male from reaching the eggs in her body until she is ready. There is almost always only one young born at a time. The young are very helpless as their wings aren’t fully developed yet. They rely on milk from their mother to help them grow and thrive until the wings do develop. Once those wings are strong enough for flight, the bats are going to have to find their own food supplies. They help to keep the populations of insects and bugs and also help with pollination. The amount of time they spend with their mother depends on the species. It can take only six weeks for the wings to mature on some species. For others though it can take up to four months. The average life span for a bat is 20 years and they tend to have a decent rate or reproduction as long as there is enough food in their environment. 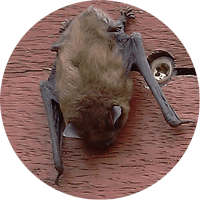 Bats can quickly become a nuisance though depending on where they decide to take up residence. 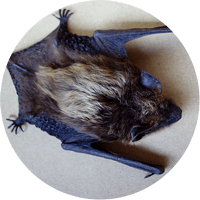 Should you discover you have a problem with bats in your home or business it is best to call in a professional. They can safely remove all of the creatures and their nests. They can also locate the entrance and block it so that the problem won’t repeat itself.